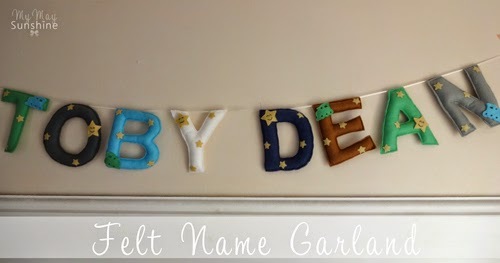 For our youngest nephew, for Christmas, I decided to make a felt garland of his name. I decided to do this as I didn’t want to buy any toys or clothes as he already had enough and would get more for Christmas from others anyway. 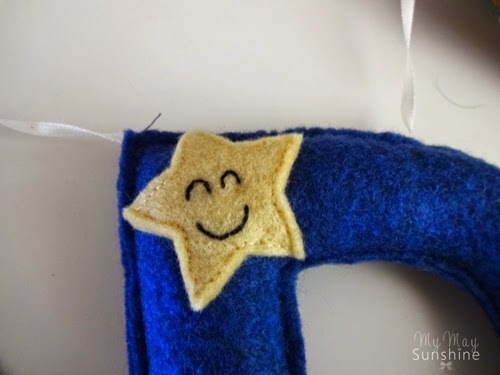 For the embellishments, I used the Sizzix stars dies and cut out lots of small stars and some slightly larger ones. 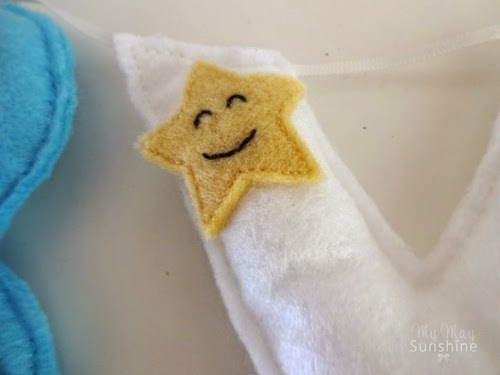 On the larger ones, I sewed on smiley faces. I also decided to create some little trains using the Clearly Besotted Full Steam Ahead die set. 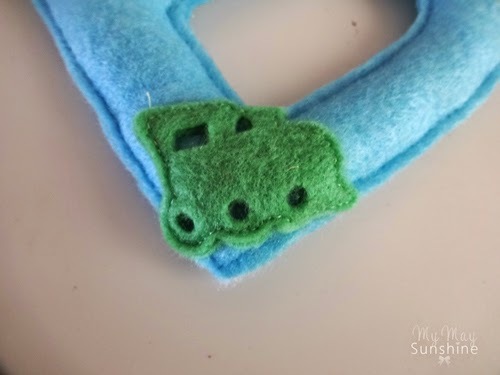 I cut out 2 for each train ans the hand sewed them together. 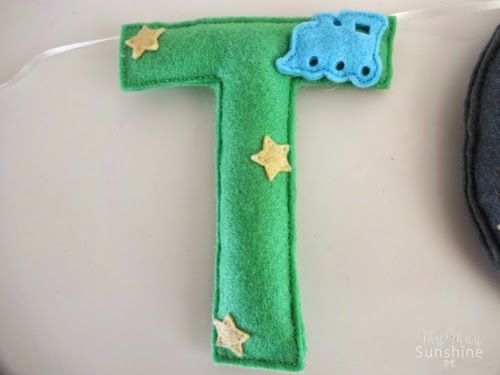 I then hand sewed all the embellishments onto the letters and hand sewed the front and back together. 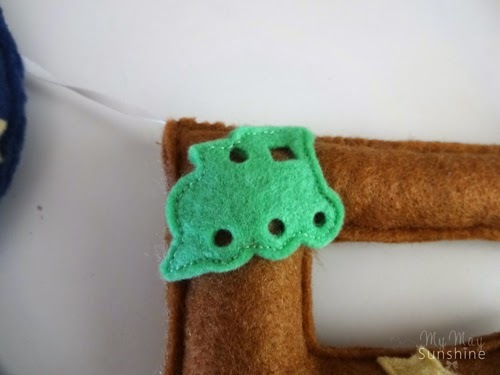 I could (and should have) machine sewed them but didn’t want to keep changing the threads every time, which would have been easier really. I filled the letters with some hollow fibre filling which I bought a big bag from Dunelm. 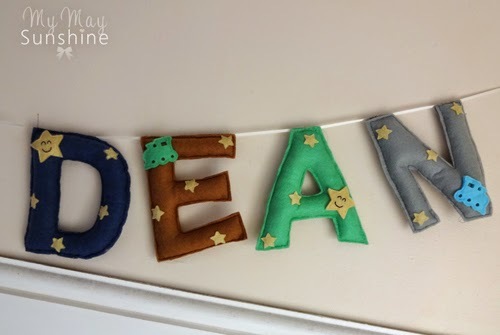 I decided to use some ribbon to hang the garland up rather than using string as I thought it would be stronger and just attached the felt letters to the ribbon. I think it turned out quite well for a first attempt and love the smiley faces and the trains. 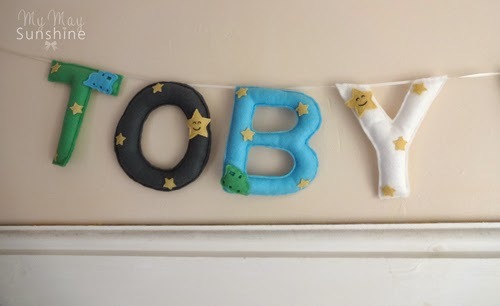 Having your child’s name in their bedroom wall is quite popular at the moment but I think it’s great to help them learn their name. What do you think? 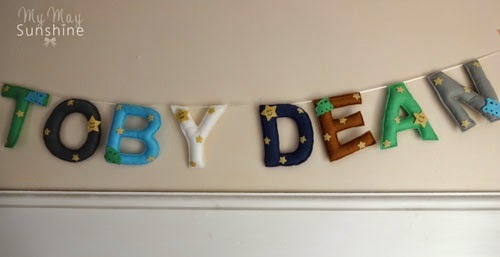 Is it something that is lovely to have on their wall or to much decor? Let me know. Laminated lists and drawing board.